The first series of guitar Amp stands that deliver true innovation and musician-helpful features, this Genesis Series stand from Ultimate Support offers a patented leg-locking system for stability, protective padding that won't inherently damage the finish on your Amp. 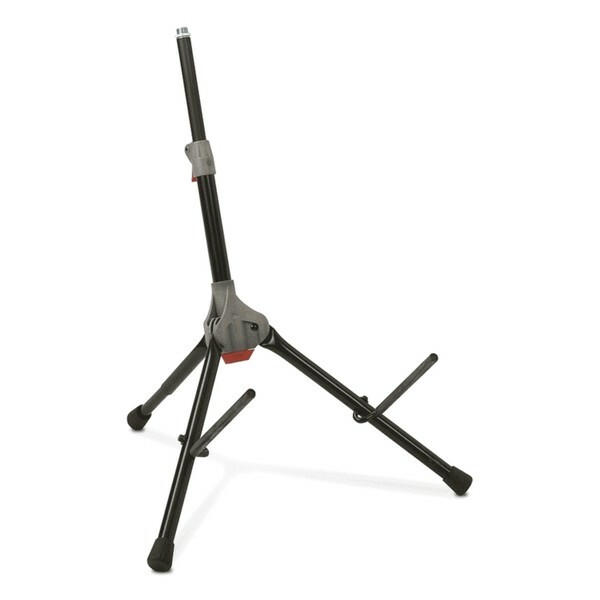 Whether you're looking for a quality stand for your guitar combo, acoustic combo or bass combo amp then there's a Genesis Series stand from Ultimate Support for you! 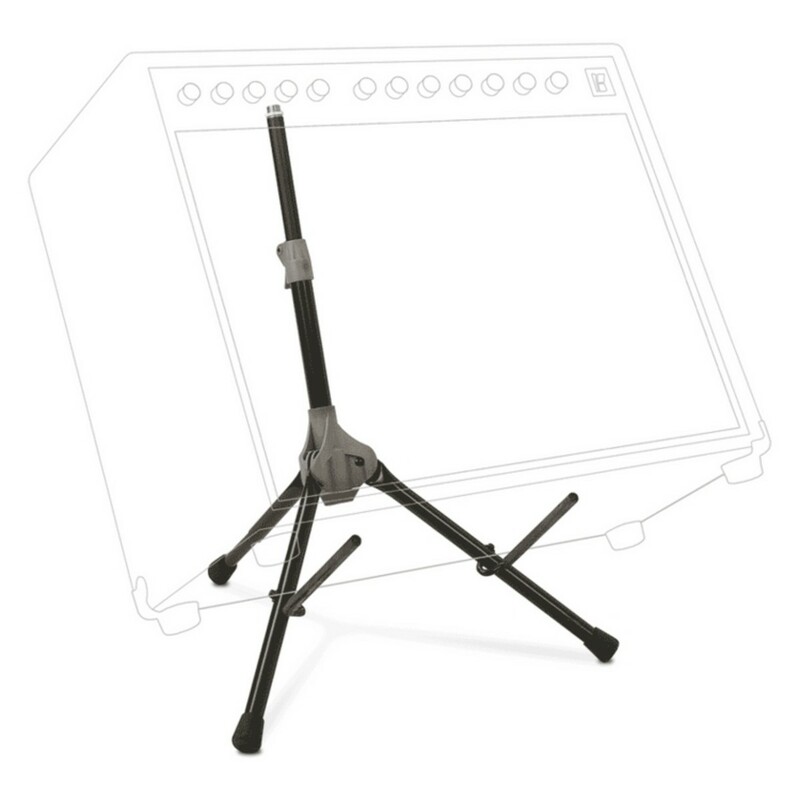 Featuring three tilt positions, you can aim your amp exactly where you need it when using an AMP-150 amp stand. You'll be able to hear high frequencies at much lower volume levels on stage and in practice, and the sound guy will have better control over FOH sound since your amp is no longer facing directly forward. There's no need to carry an additional mic stand when using an AMP-150. There's a built-in mic boom attachment at the top of the stand! Just add your favorite boom arm and microphone, and you're ready to rock. The AMP-150 is one piece that quickly folds into an ultra compact, 3.5" x 18" unit. Take your stand anywhere and never lose parts again! And, the sturdy tripod base holds up to 75 lbs! Genesis Series guitar and amp stands feature a unique, patented leg-locking mechanism. When setting up the stand, unlock the legs, unfold and lock the legs in place for worry-free stability and strength. When finished with the gig, unlock the legs, fold, and lock for easy, compact portability. The ingenious leg lock eliminates "floppy leg" syndrome.